Finegreen Estates Team at Healthcare Estates 2015 Annual Conference & Exhibition next week! The Finegreen Estates Team are looking forward to exhibiting at the Healthcare Estates Annual Conference next Tuesday and Wednesday at Manchester Central. If attending this prestigious event, with keynote speakers including Lord Carter & Ian Williamson, do come and meet the team at stand G55. 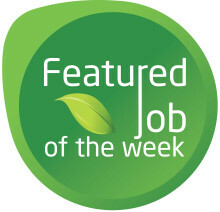 Our featured job of the week is for a large NHS Organisation based in the South West who require a Head of Facilities to cover a secondment within the Trust. Our featured job of the week is for a a major project management consultancy, who are currently recruiting to the role of Associate Project Manager to lead a team and deliver large scale Healthcare Projects throughout the south of England. We are looking for proactive, client focused PM’s with high quality behaviors and a history of delivering major schemes in a healthcare environment. 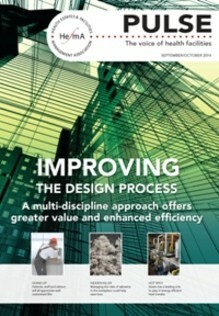 Finegreen's Lead Consultant in Estates & Facilities features in the latest edition of HEFMA's Pulse Magazine, discussing the importance of successful planning when recruiting staff in the NHS. 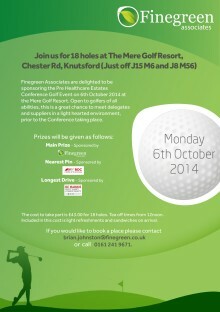 Finegreen at Healthcare Estates conference next week & pre event golf competition on Monday! The Finegreen Estates & Facilities Team are looking forward to hosting our golf competition next Monday ahead of IHEEM's Health Estates Conference taking place on Tuesday & Wednesday at Manchester Central Convention Centre.